A versatile fashion clothing that never goes out of style, is a fur vest. The vest is made of natural fur of fox and raccoon, which is remarked by its distinctive color, but also by its lined interior. 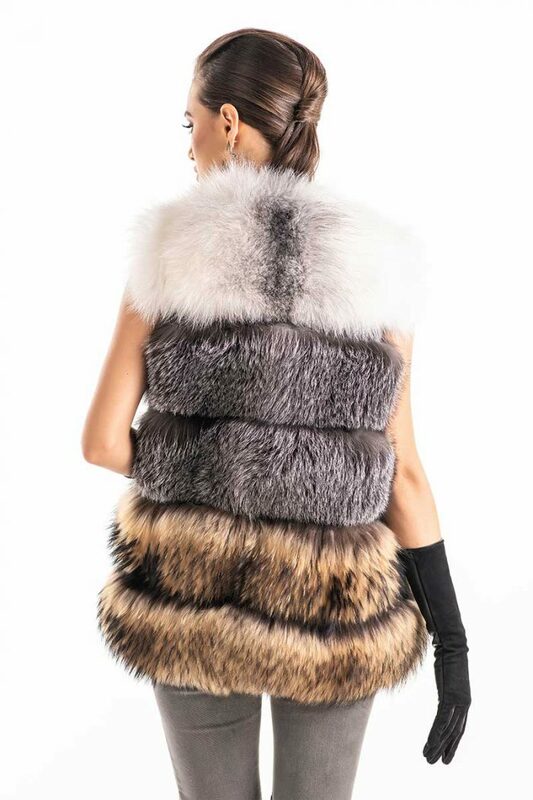 Also, this fox and raccoon fur vest is provided with two pockets and is ideal for any outfit. This creation goes beyond the waistline and is lined, which will give you a heightened thermal comfort, so you will not have trouble in the cold autumn or spring days.